Desi Smith/Staff Photo. 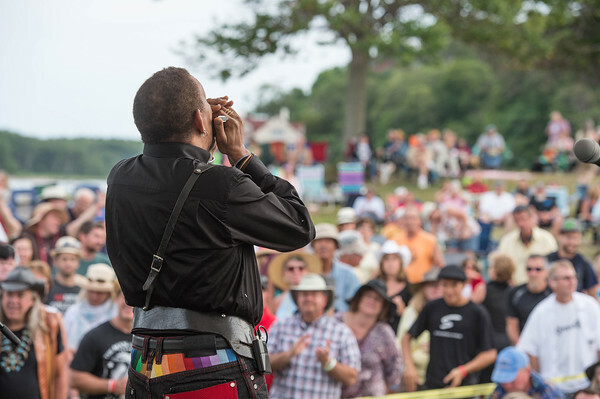 Born James Whiting, Grammy Award-winning harmonica virtuoso Sugar Blue performs before a large crowd at the Annual Blues Festival Saturday afternoon at Stage Fort Park. August 8,2015.